Vienna-based niche brand Puredistance has launched their first perfume, Puredistance I, billed as "the world's most exclusive fragrance concept". ...intriguingly complex. The perfume opens as top note with a fresh, ozone-tangerine blossom blend with a hint of cassis, complemented with neroli bigarade and crisp watery nuances. The heart of the fragrance warms to a sophisticated, modern blend of magnolia, rose wardia & jasmine; parmenthia & natural mimosa, before finally settling softly into the rich classical notes of sweet amber, vetiver and white musk. 1750 euro? Running away even faster…. visited the puredistance website. imo, lot of concept and hype for something that purportedly smells like… ozone. I forgot, what is ozone smell like in perfumery? You would open the top and a recorded sound of gulls would play. and the base would be wet sand in your bathing suit. You wouldn't wear it, unless you were really depressed. Some day I want to grow an ozone tangerine tree. Okay, being snarky. Let me start over. This is clearly not my type of fragrance, but I am also shuddering (as I suspect are others) at the thought of 1750 euros for a mere 17.5 mls of juice, even encased in crystal and HIGH GRADE steel. Okay, okay. The refill is only 165 euros, still quite expensive, but not astronomical. After all, I did just pay a pretty penny for a split of Homage. And I can be somewhat seduced by beautiful bottles. Having just checked out the website, this one is a stunner. Love it! Don't forget to add black crud on your feet to the base from the most recent oil spill off the coast. Yes, that's a deal-breaker for me. Ozone notes are supposed to smell like “fresh air” — often described as that clean smell in the air after a thunderstorm. Clearly they're after a luxury market that cares as much (or more) about the bottle & the exclusivity as about the juice. That's not me, but if the juice is a stunner, I'll want some! Actually, I am looking forward to reviews. At some point I need to find an ozonic/aquatic fragrance to truly love. Haven't found it yet. “Watery nuances”??? Sigh. Issey Miyake has a LOT to answer for. Did you see the link I posted above? But *why* do you need an ozonic/aquatic fragrance to love? Naah, blame New West. Or Davidoff. I love water scents and this sounds gorgeous to me, but… that price! no normal human is going to be wearing this, methinks. Thanks for the link. As for why this particular need, good question. The challenge? The novelty? How is ozone and water complex? How is a citrus-floral-amber/musky fragrance intriguing? Sounds run o' the mill to me. What does “ozone” mean anyway? The actual chemical smells terrible. If you ever played with electric trains as a kid, it's the smell the AC/DC transformer gave off when it got warm. Why would anyone want to smell like a defective electrical appliance? I think what they are after is the exclusivity of it all-look at those prices! Yeow! As for the scent-well, when somehow here actually gets a sample to smell, let me know how it is-yes, the bottle sounds great, but the whole point of perfumes and colognes is–Does it smell good? !-and does it smell good when you actually wear it? How does it make you feel as you are wearing it? Does it sit well on you? Keep us posted! The only aquatic fragrance I find classy is L'Eau Par Kenzo. OK Had a look at the website. Oh, I think that's absolutely right — the exclusivity is much of the selling point. Not what it means in fragrance though — see above. Have you tried Bvlgari's Aqua Pour Homme Marine? It's marine/ozone with a hint of a spice note, clean but not too crisp, soft but not overly powdery. 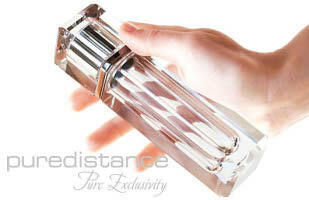 I was looking for a new scent for dear hubby and discovered I liked it very much for myself!